I’m really excited to finally share this project, because I’ve been working on it bit by bit for weeks! This is my butcher bock coffee table! 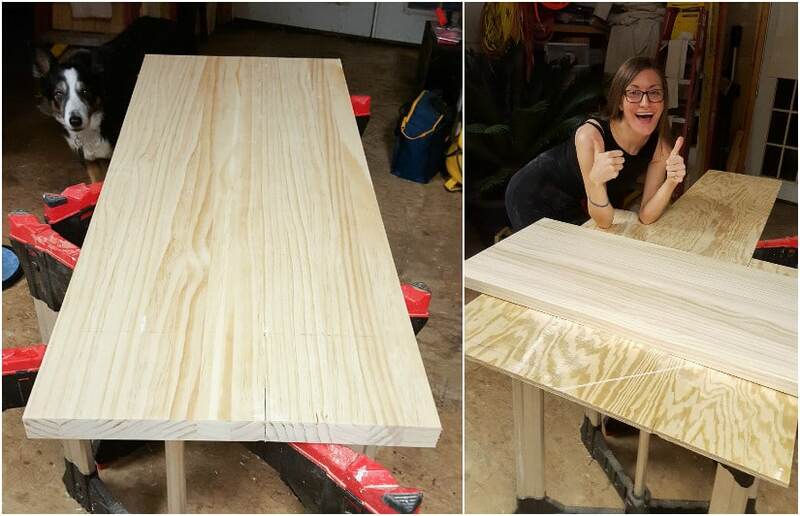 I wanted to make a coffee table to replace the painted trunk we’ve been using for years. Back when we lived in a super small one-bedroom apartment, we desperately needed all the extra storage space we could get. But now that we’re livin large in a two-bedroom apartment, we can afford to lose the trunk space for a real coffee table. 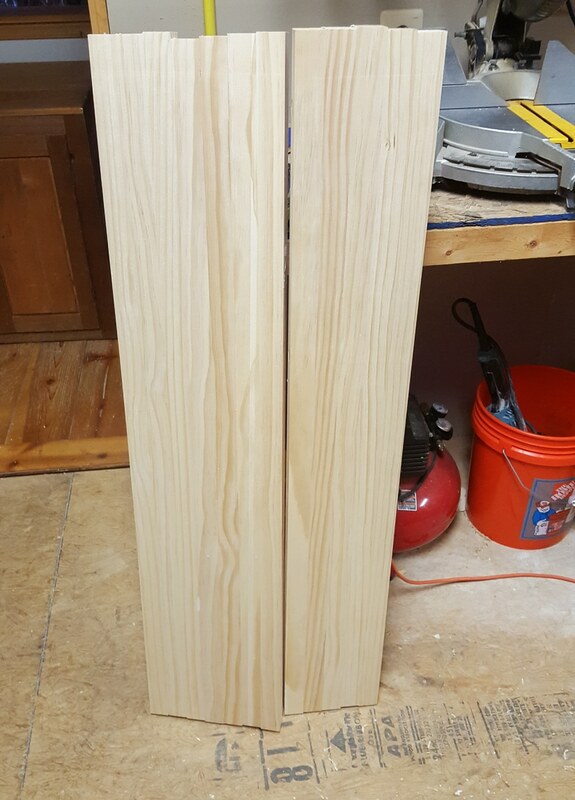 Instead of making a more traditional butcher block design that incorporates boards with many different lengths, I chose to keep my boards the same length. Props to those who are edge gluing width-wise and length-wise. 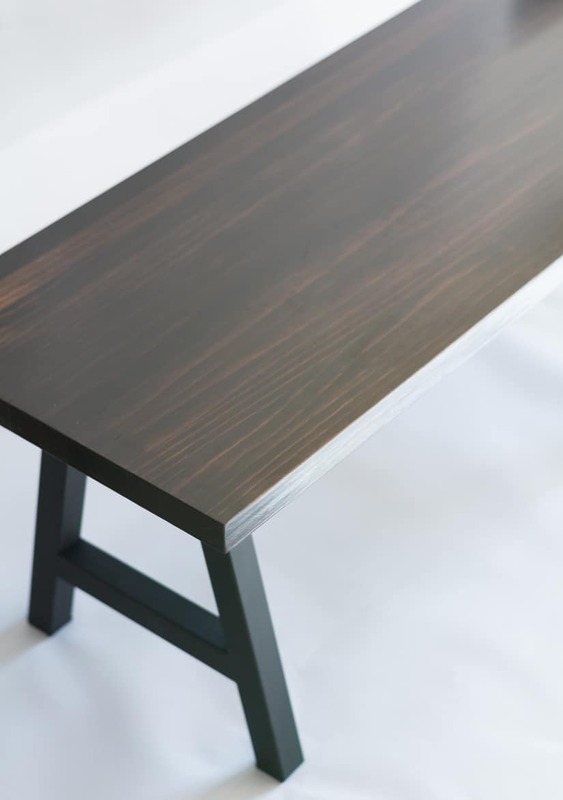 I also chose amazing black steel a-frame leg that I purchased here from the ECon Welding Etsy shop. And here’s how I made mine! 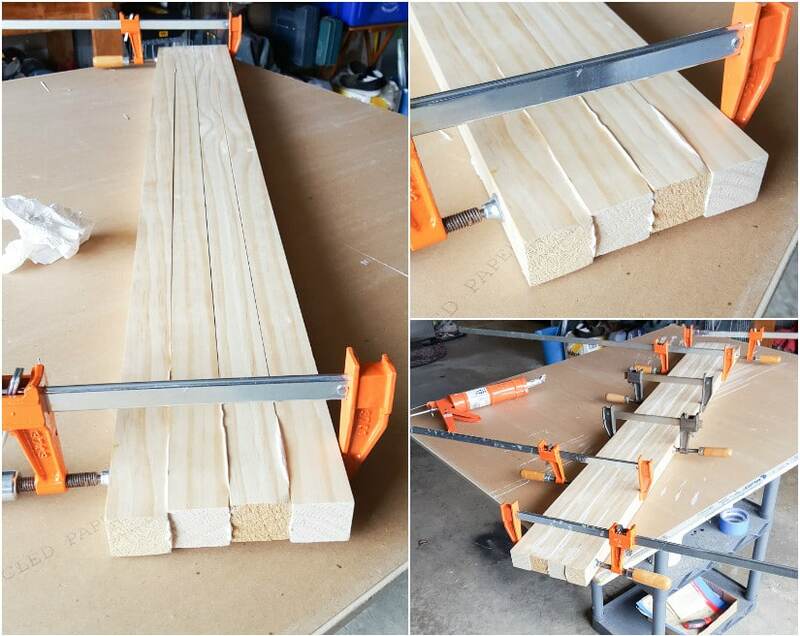 Step 1: I edge glued the boards together using Liquid Nails and a variety of clamps. First, I ran a line of glue along each board and pressed them together. 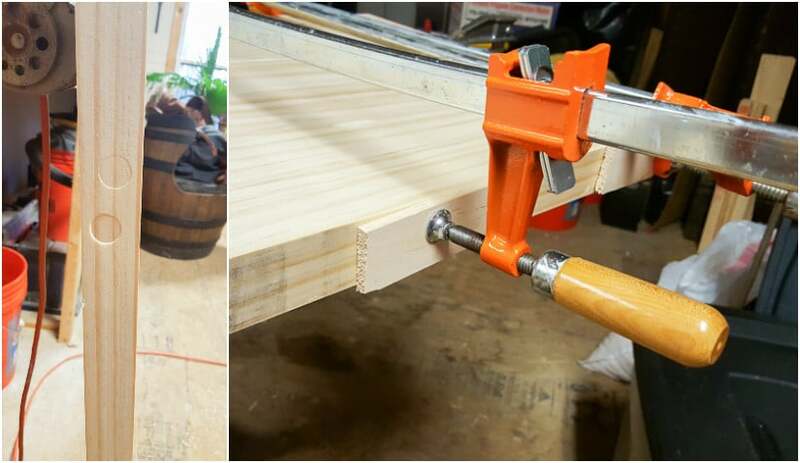 Then, I applied pressure using bar clamps. In addition to applying horizontal pressure, I applied vertical pressure. The picture below shows the right two boards popping up slightly. Adding vertical pressure using C-clamps fixed this problem really easily. 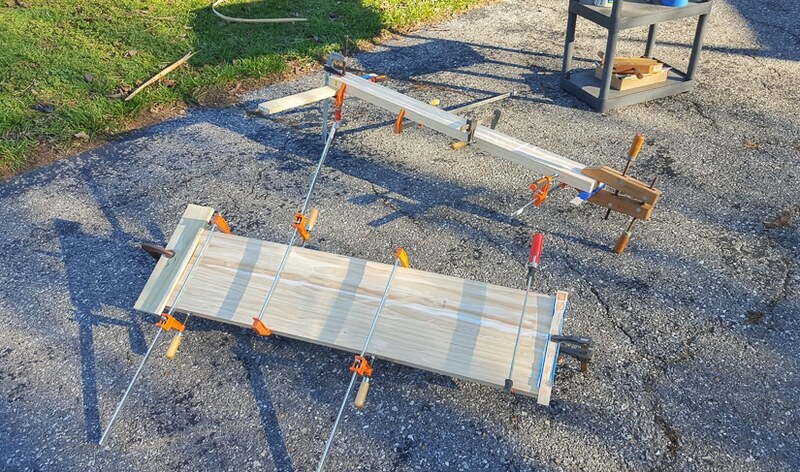 I just put a piece of scrap wood covered in painters tape between the glued boards and the clamp. I used painters tape because I wanted to be able to safely remove the clamp and board when the glue dried, and the tape made that very easy. I completed the edge gluing in several sections. 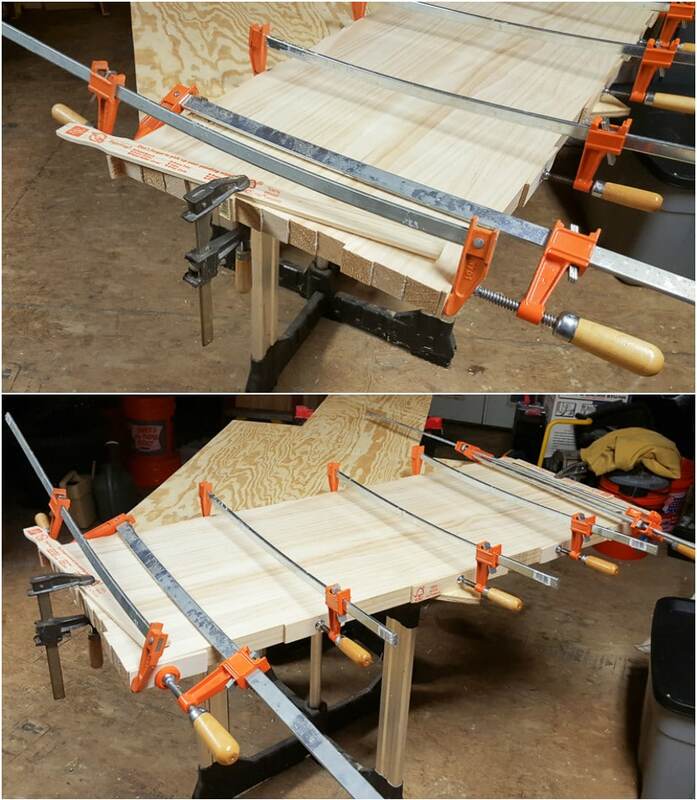 First I clamped a set of 4 boards and a set of 3 boards. Then, when those sets dried, I added additional boards to each set until I had a set of 7 boards and a set of 5 boards. 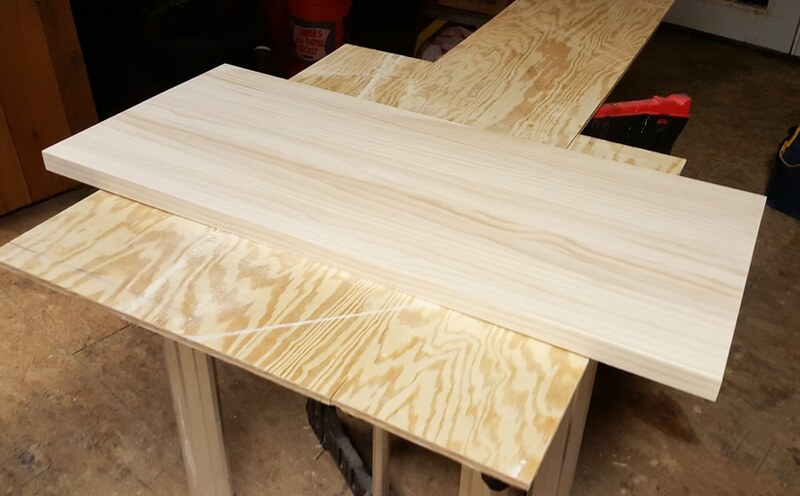 As I was clamping, I made sure to protect the wood from indentations using paint stirrers cut into pieces. 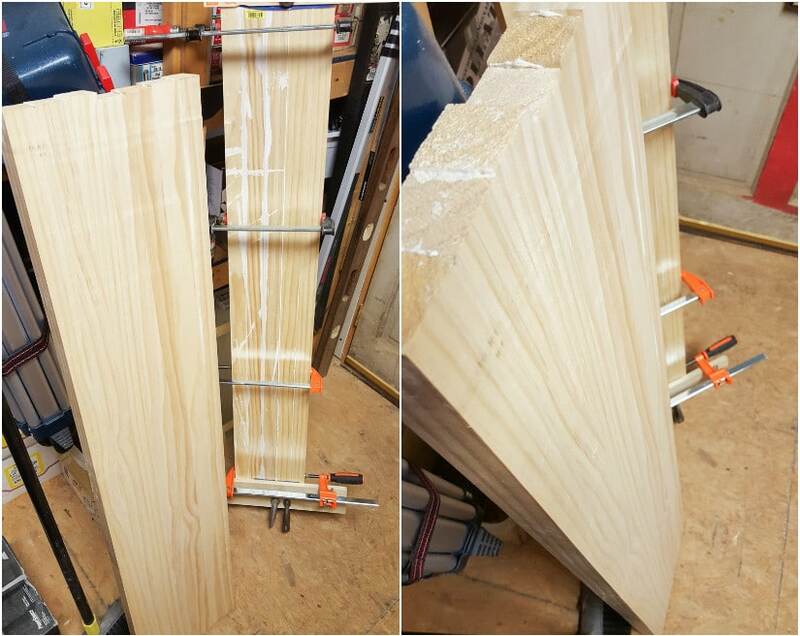 Below, left photo illustrates what can happen to the wood if you don’t project it. Below, right photo illustrates how to protect it! 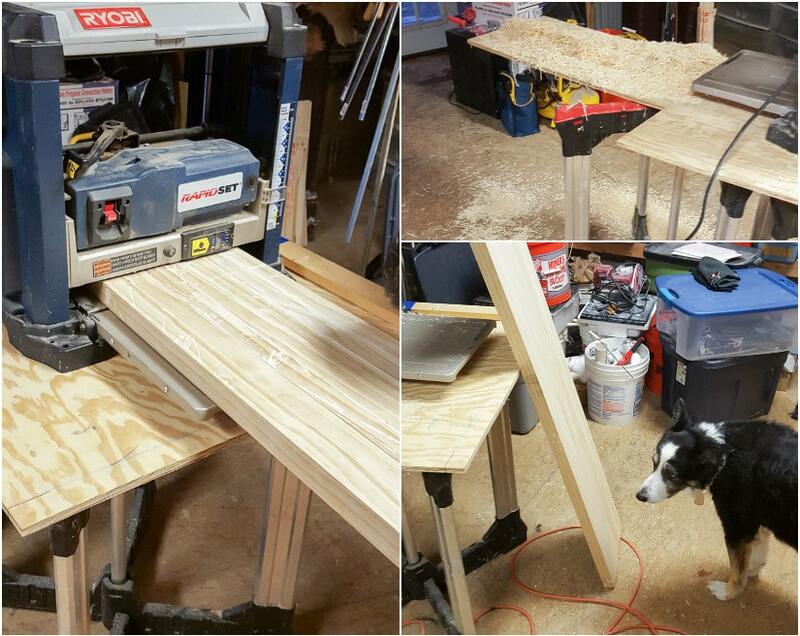 Step 2: After I had 2 sets of boards (1 set of 7 and 1 set of 5), we ran each set through a planer. I would have finished the table and run the entire thing through the planer, but as you can see below, the planer isn’t wide enough. 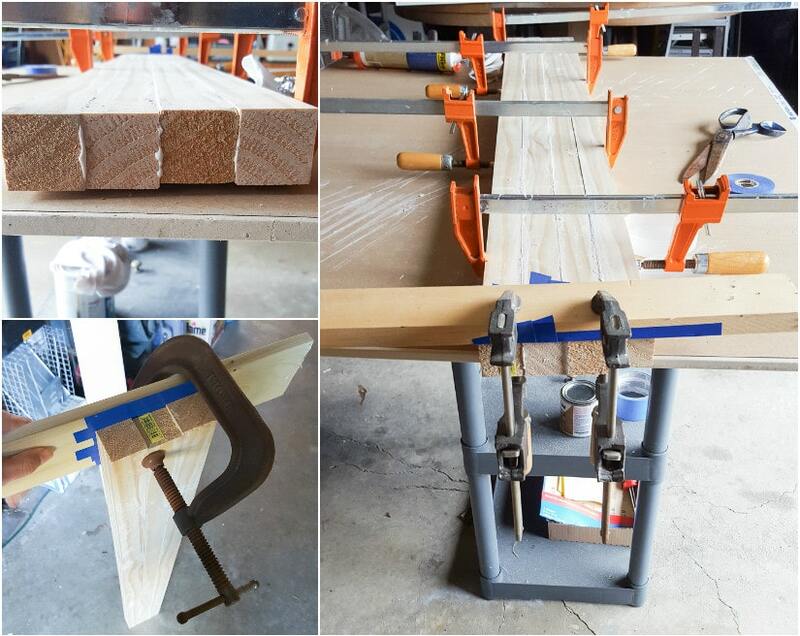 The pic below shows the section of 7 boards planed and the section of 5 boards while it’s still clamped and drying. 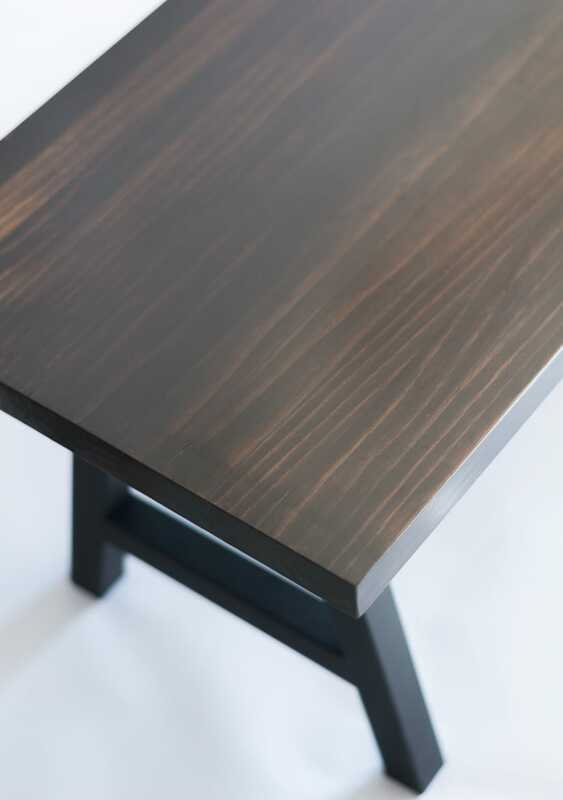 Step 4: When the final glued edge dried, we drew a straight line along the table’s jagged ends and used a skill saw to cut an even edge. 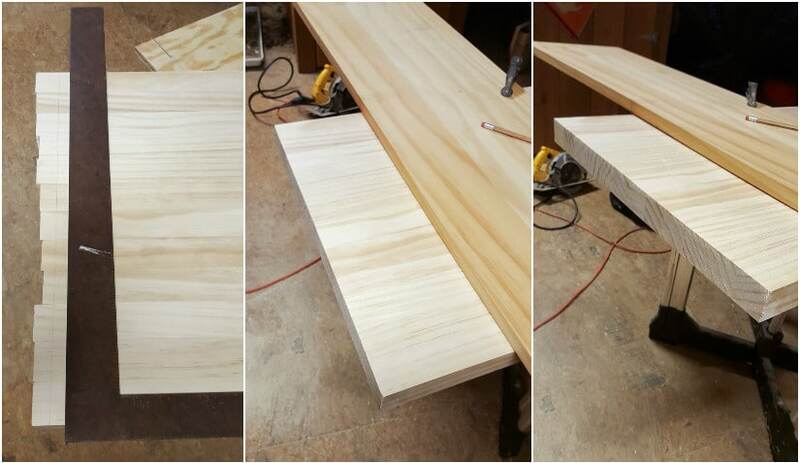 Since this was a free-hand cut, we clamped a straight board to the table top to use as a guide for the saw (below, center and right photos). We unfortunately did have a bit of splitting occur on one end of the table. We were able to cut off most of it when we straightened out the edges, but we lost about 6 inches total. That was a bummer, but we were working with imperfect wood, so it wasn’t completely unexpected. We could have avoided this by planing each individual piece before edge gluing them together. I’m still happy with the result! That’s me in my work dress. I forgot a change of clothes. Oops. Then I sanded down the entire top using 100-grit sandpaper. There were a few bumps and bad spots that needed evening out. I also slightly rounded all edges and corners and finished the piece off by polishing it with 220-grit sandpaper. 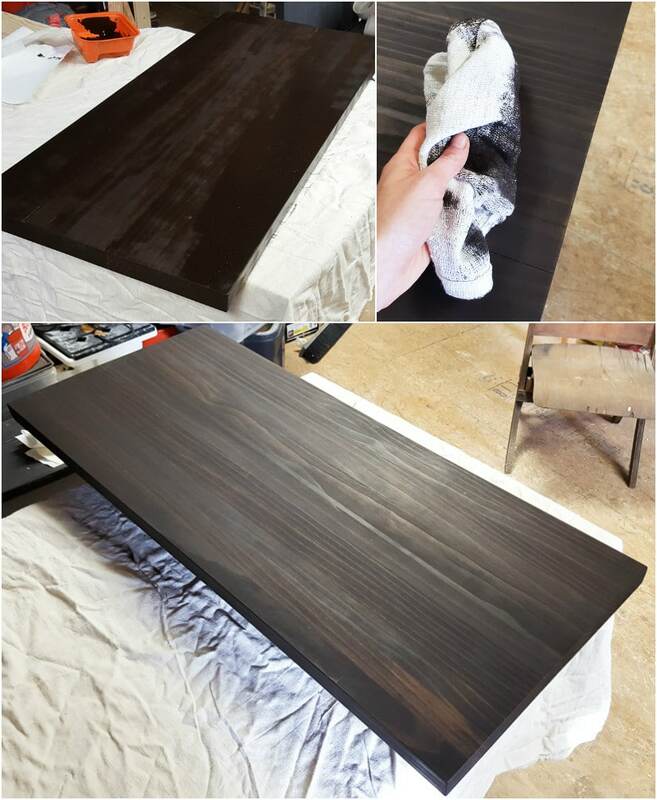 Step 5: I stained my table top using one coat of Rust-Oleum wood stain in Kona. I used a mini foam roller that my dad was planning to throw out. It made the job really quick and easy. I really love the deep Kona color. 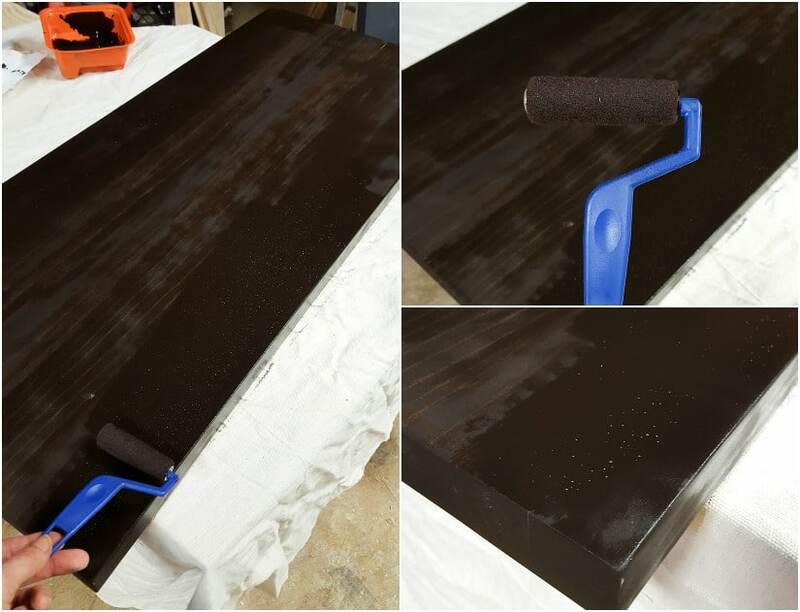 Step 6: After the stain had dried completely, I gave it three coats of Minwax fast-drying polyurethane in semi-gloss, sanding lightly with 220-grit sandpaper between each coat. 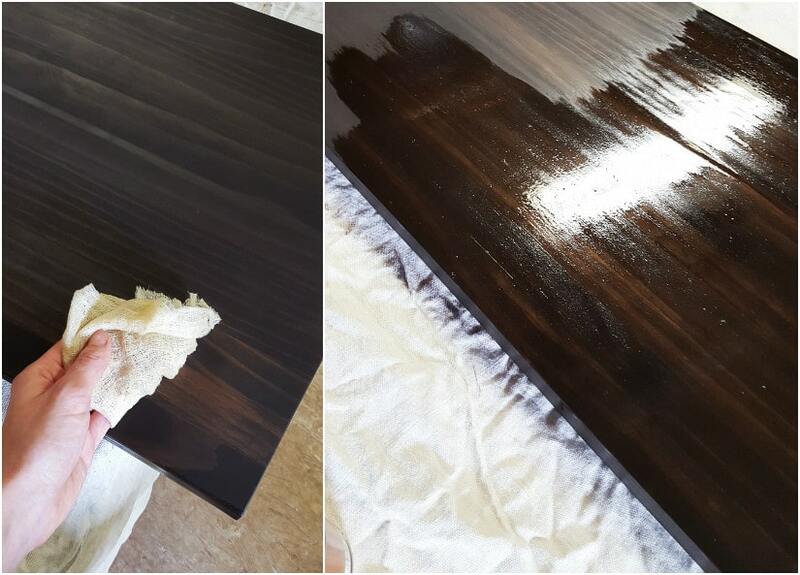 Step 7: Once the final coat was dry, the hard part was done. I chose to use a black steel A-frame leg that I purchased here from the ECon Welding Etsy shop! They came with holes in the legs, so all we needed to do was drill the legs on. And here is the final table! I LOVE IT! 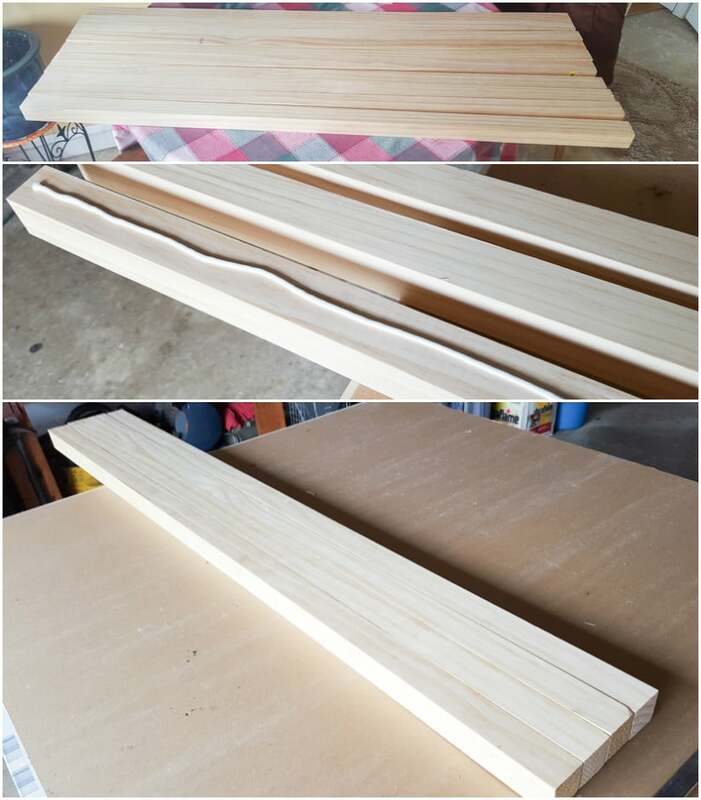 Check out my post on tips for edge gluing wood boards together here. Like this? Then check out these related posts! Comment spam is the worst. And it's why I had to turn off comments on my posts that are older than a few weeks. However, I want to know if you have a question! You can hop over to my Instagram or Facebook pages and leave a comment or send me a direct message. Thank you for visiting and reading! This is great. 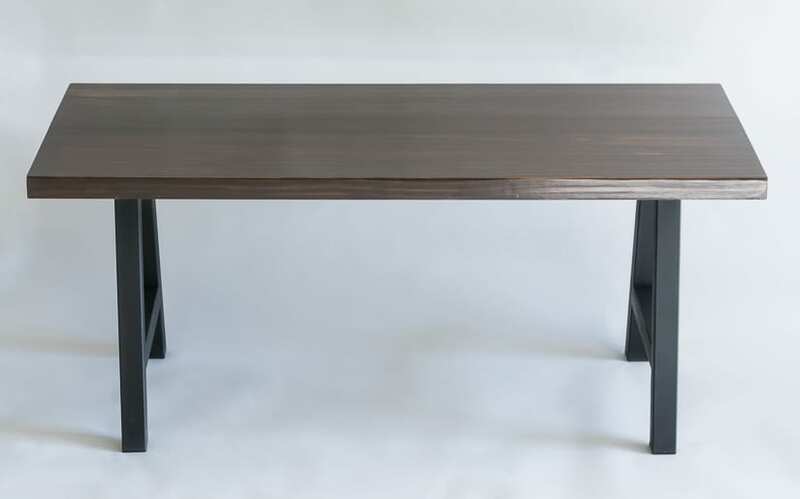 I am planning to use island butcher block to create low sitting dinning table. 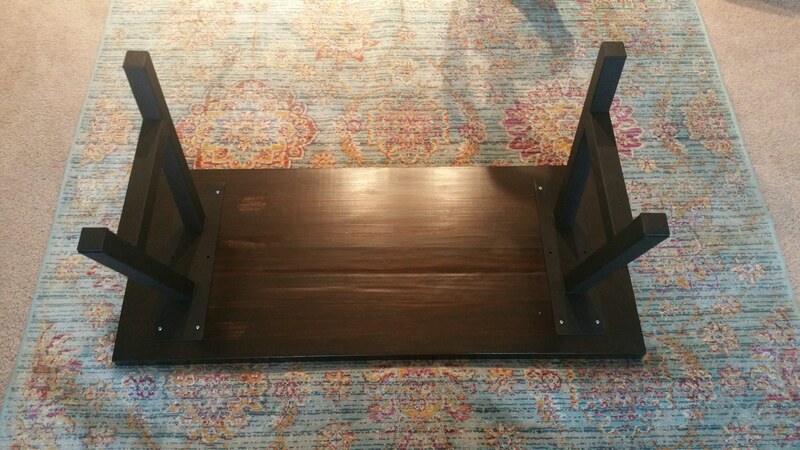 The butcher block would be of size 84 L x 36 W. Any idea how can I use wooden feet that is about 11 to 12 inches high? Hi! I'm Brittany. 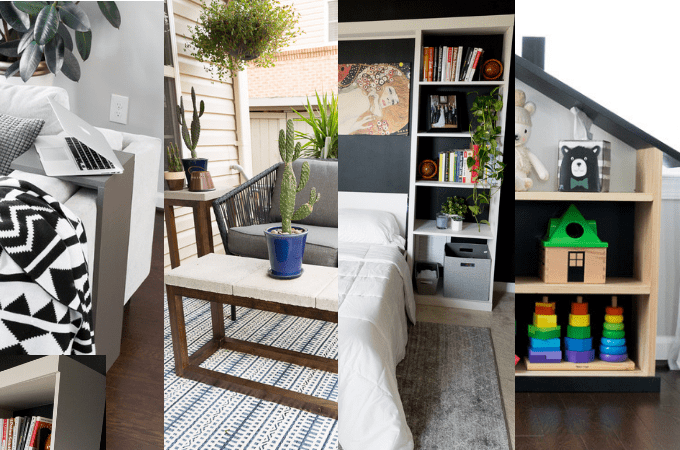 This is my modern DIY, townhome living, tiny gardening blog. 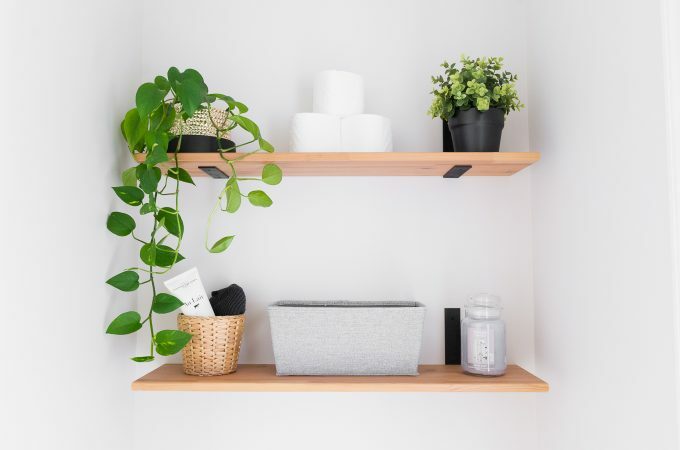 I'm a maker who loves simple decor, plants, bargains, photography, and naps. I hope I can inspire you with ways to infuse creativity into everyday life. Stay awhile! 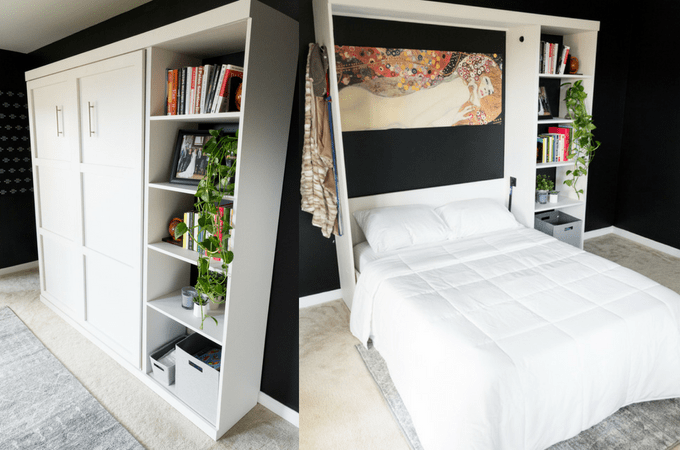 Follow on Pinterest for new ideas daily!